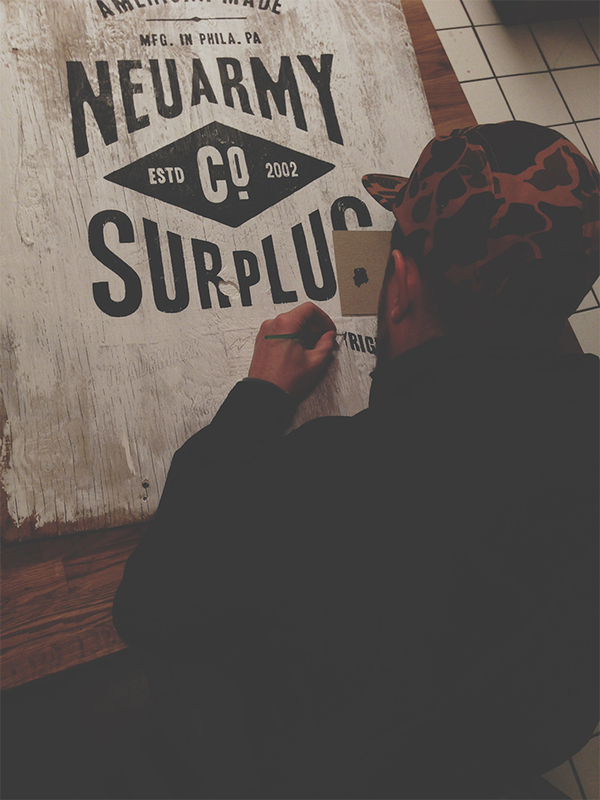 Wood Signage — Neuarmy Surplus Co. 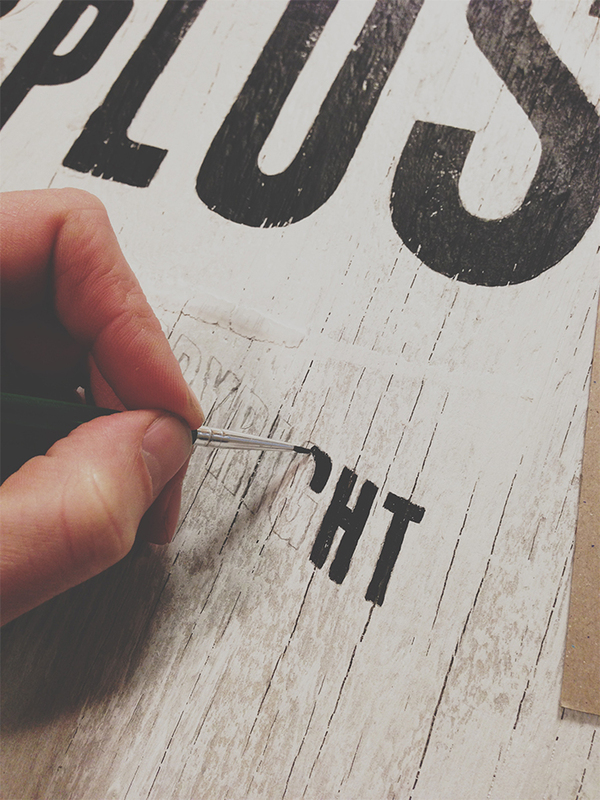 Here are several process shots documenting the various stages of hand-painting wood signage. 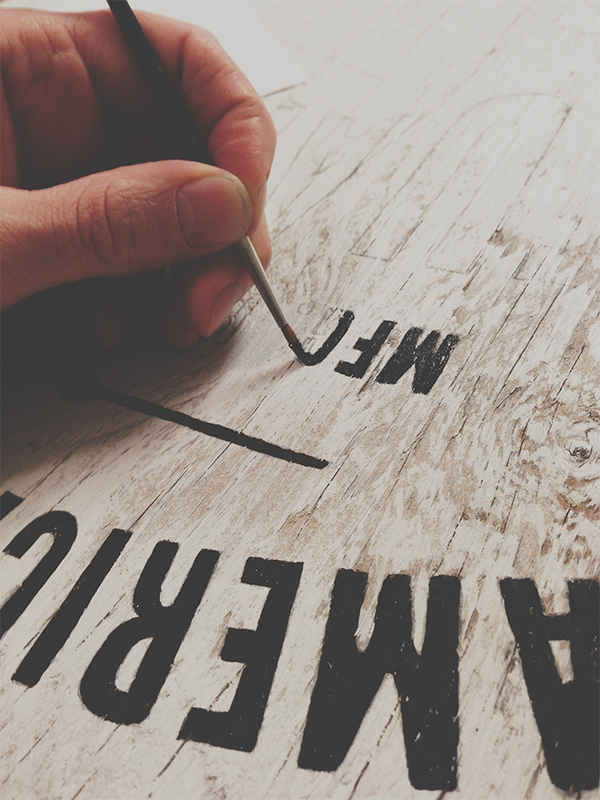 Since all the wood used for painting is reclaimed, much of the character of these signs come from imperfection, warping, decay, cracks, and grain, etc. It takes a lot of time and effort to salvage wood that's suitable to paint on, but once the best pieces are reclaimed, it's usually cleaned and lightly sanded. Flat white paint is then applied in a way that feels organic and perfectly imperfect. The sketch is then transferred by hand using an overhead projector as a guide. 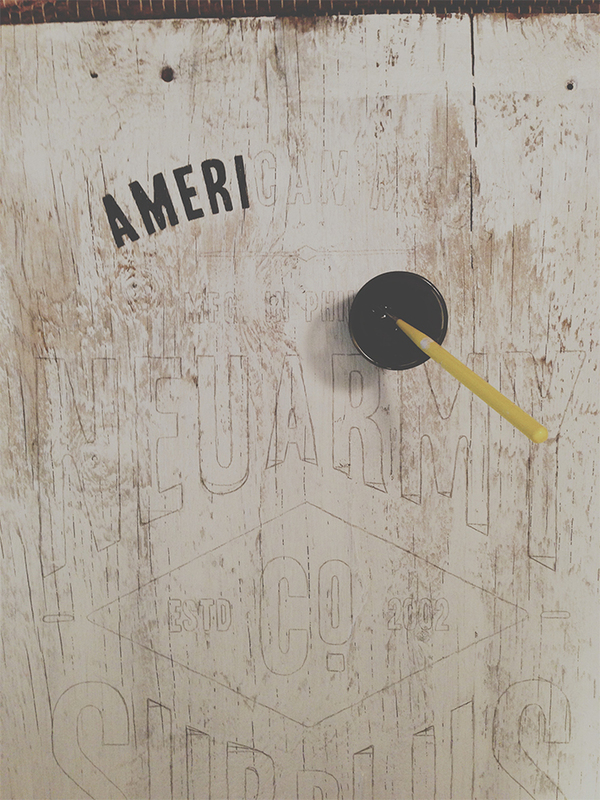 And finally, the lettering is painted using 1 Shot Lettering Enamel and meant to have a subtle distressed look and feel. 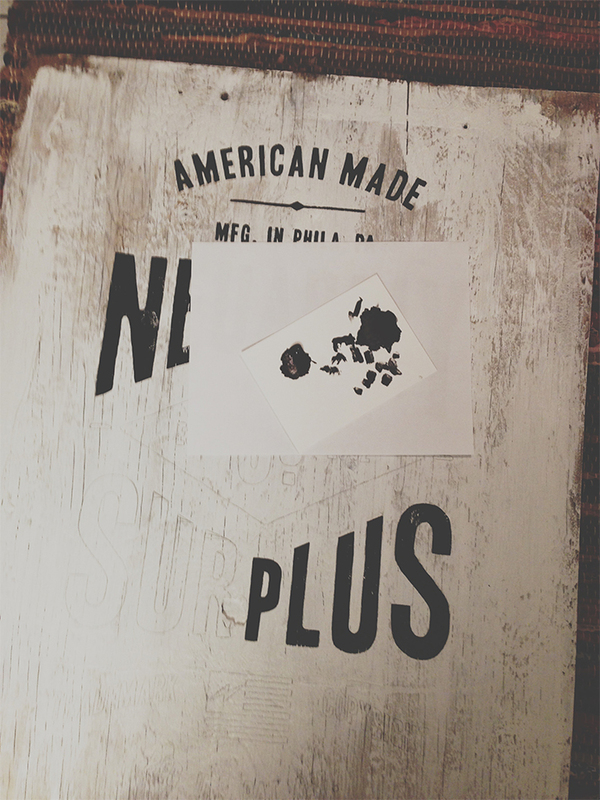 Check out our Signage Lookbook.